The oil sector greatly underpins Congo’s domestic economy, as petroleum accounts for 80 percent of government revenue and 90 percent of total exports, according to the U.S. Department of State and the World Bank. DRC has proven oil reserves of 1.6 billion barrels, according to Oil & Gas Journal (OGJ), the fifth-largest proven reserves in Sub-Saharan Africa. Sugarcane, cocoa, and coffee, raised primarily on plantations, are important export crops, as are peanuts, palm products, and tobacco. 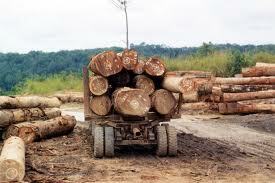 Lumber and plywood are also important exports, as are diamonds. The main export partners of DRC are China, the United States, and France are the major trading partners followed by Austria, Netherlands, Spain and India.